Welcome to the Outback Rally, A 16km circuit located in the Northern territory, Some where in the vast open desert. Ai has problems due this bieng made up of single Rd's ( BTB issue ) hopefully a fix will come soon..
Other than that I think all is good!. Golly :EWE textures and Loading screens ! Cheers and enjoy the track! Inside the EWOR_Outback_Rally_v1.0 folder paste the contents into your rFactor install. If you have a seperate Locations folder, place the EWOR folder and all its contents into your locations area. Also included in this download is the .HAT file. Place this into your relevent Userdata area. Helps with load ups. 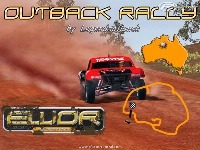 There are currently no setups for Outback Rally. Add a Setup. So I'm flying along, running off course (because it has been a while since I did rally. anyway, the dust is OK as I followed some cars and the dust isn't too thick and doesn't hang around. However- I got DQ'd because when I'm going the wrong way, I don't get any warning. Maybe that's the yellow flag- but I turned around and went the other way. I always see a message warning I'm going the wrong ay before I get going. So- if you can get a "wrong way" on-screen message into the mod it would be great. Especially since there may not be any cars coming by to indicate the right way. This track doesn't load at all. Same as with Finke. I have them in EWOR-folder in locations, still no go. Does anyone know why the AI cars disappear or leave the rally in the middle of the first lap ? Getting the same issue when crossing the start/finish line, no times posted and a wrong way warning, then you get DQ'd,What's up Doc? it should at least post lap times on lap 2 and above.. the sky.mas error goes away if you transfer any sky.mas file into mod.. help with times, other wise great mod..
Hi Guys,sorry for the troubles you are having. Go to the above site and grab the sky.rar to fix the missing sky mas. I removed it to save upload size.. Sorry again, as for the other error I'm not sure I don't have that problem here. I hope it works ok. Whilst your at the above site you can try some of the other tracks I have created. That's a good and nice job, but I think reserved for buggy cars because of the specific 4x4, a bit annoying with rally cars. If the next version will come with a shorter infield track for rally cars that will be great. I install the track as told and same error; sky.mas. Please help, I would like to try this track. The track seem to have the "sky.mas" file missing from its directory. 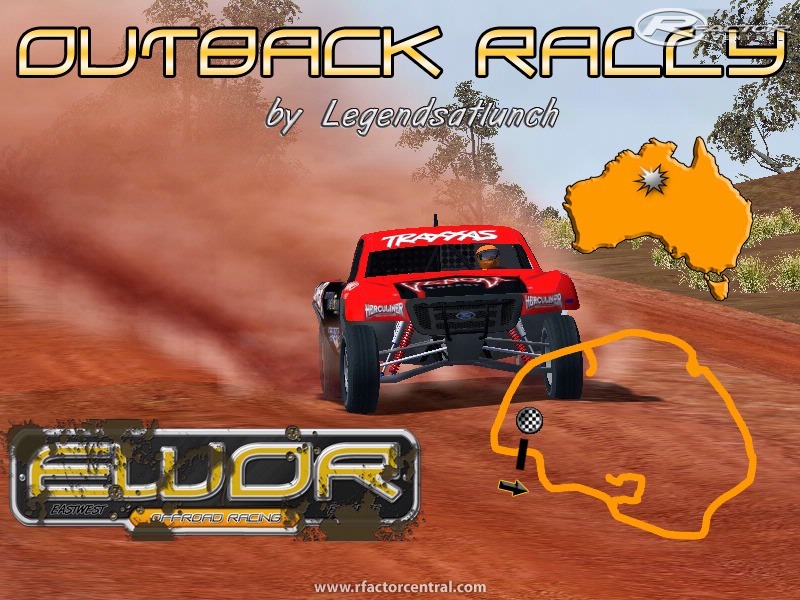 I install the "Finke Farm 1.00" track wich it goes in "EWOR" directory as well and it has the "sky.mas" file in it, now the "Outback Rally 1.00" works fine and let me tell you: it's a totally great track to race on. After add a file sky.mas from an other track, I got an error loading texture.bkaa for material BKAA and after a global error material BKAA.